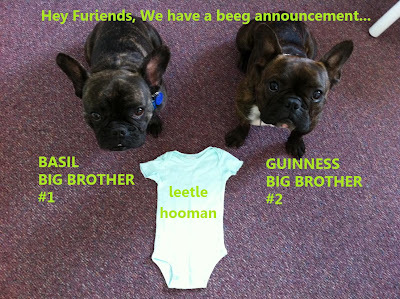 Guinness & Basil: BIG NEWS!!! 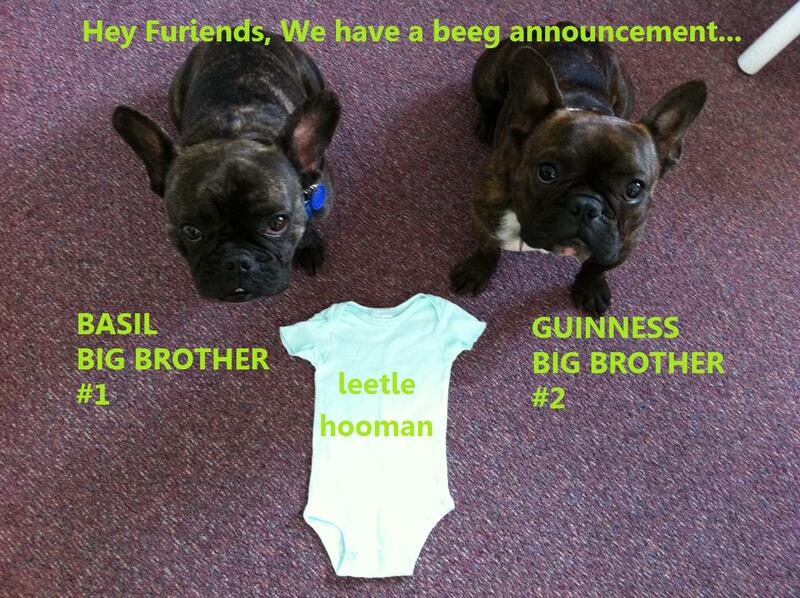 Wow, you'll both be big brothers!!! How exciting! Congrats.. That is exciting news!!! YAY! Little humans are great to have around - especially when they drop food on the floor!